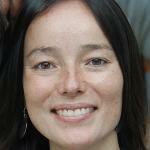 Kim Thuy Seelinger is the Director of the Sexual Violence Program at the Human Rights Center, University of California, Berkeley, School of Law. She teaches Refugee Law at Berkeley and oversees the Human Rights Center’s research, writing and technical assistance related to sexual violence committed in the context of armed conflict and forced migration. Her technical support work includes consultation on gender violence legislation, training human rights defenders on interviewing survivors of sexual violence, and submission of amicus briefing in cases of sexual violence committed as a war crime and crime against humanity. In addition, Seelinger studies legal accountability for wartime sexual violence, protection in humanitarian settings, and comparative sexual offenses legislation. She has conducted fieldwork in Haiti, Vietnam, Thailand, Turkey, Egypt, Greece, Kenya, Liberia, Uganda, and eastern Democratic Republic of Congo. Seelinger currently serves on the UN High Commissioner for Refugees’ Advisory Group on Gender, Forced Displacement, and Protection. She was also an expert commentator on the International Protocol on the Documentation and Investigation of Sexual Violence in Conflict, and is a member of the expert group on international guidelines on the documentation of sexual violence against men and boys. Before coming to HRC, Seelinger was a staff attorney at the Center for Gender and Refugee Studies at UC Hastings College of the Law, where she co-taught the Refugee and Human Rights Clinic and represented asylum seekers fleeing gender-based violence. Prior to that, she was a Yale-China Association clinical legal education fellow and a staff attorney and Kirkland and Ellis Public Interest Fellow at the Lutheran Family and Community Services in New York City. Seelinger graduated from New York University School of Law.